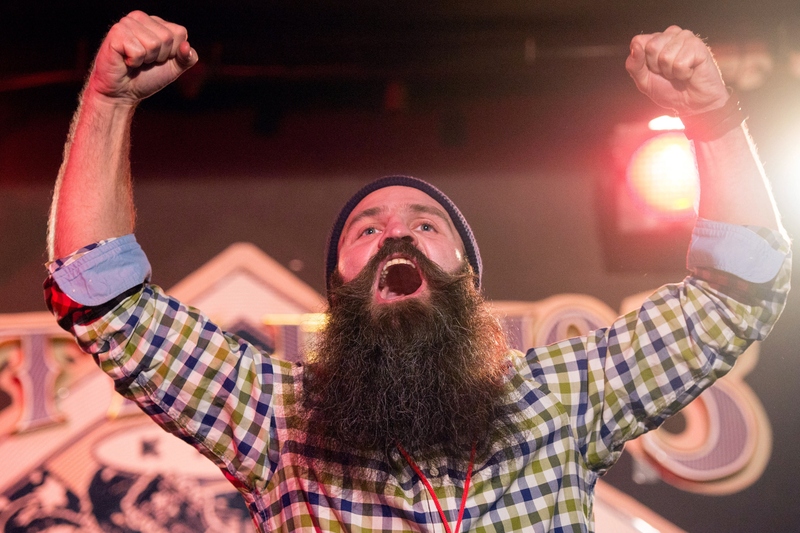 I'll be honest: I still can't really believe “lumbersexual” is a thing. But regardless as to what I think about it, the term is apparently here to stay — at least for a little while — which means that it was only a matter of time before someone put together a lumbersexual's guide to interior decorating. In this case, that guide comes to us in the form of an infographic from apartment search website ForRent.com… and I love it. It's honestly one of the most hilarious infographics I've ever seen, and I've seen a lot of infographics over the years. Besides, who doesn't want to know what an “outdoorsy” person who has never actually spent any time outdoors puts in there apartment? I'm just so curious! Like many websites devoted to practical yet decidedly un-splashy topics, ForRent.com has a blog component… and you guys? It's magical. I'm not even super into interior design, but if I didn't have an impossibly long to-do list to get through today, I would quite literally have spent my entire day flipping through ForRent.com's Apartment Living blog's archives. There's so much cool stuff there! From DIY projects to productivity tips and from spring outfit ideas to guides for planning a Game of Thrones -themed wedding, it'll keep even the most easily distracted person occupied for hours. Which brings me to this Lumbersexual's Guide to Decorating infographic. Each room in a lumbersexual's abode, you see, has some very specific requirements in order to fully embody the aesthetic. I've put together a small shopping guide of essential items to get you all started; scroll down to see the full infographic. You won't regret it. I promise. Bonus points if you use actual Mason jars — none of that “jars with mug handles” nonsense. What other brand would a lumbersexual use? Green plaid will also do in a pinch. ForRent.com suggests purchasing “artisan pieces of wood” at a local flea market or craft fair (the tiny stumps seen here came from Etsy). Using wood you just grabbed from the park down the block is not recommended, as it may come with a few… shall we say, occupants living inside it. Or just devote a computer monitor or extra television screen to playing the Netflix Yule Log video year-round. There's nothing quite like doing your business in the great outdoors… or at least, somewhere that smells like the great outdoors. Kind of. OK, not really, but whatever. A lumbersexual is not a lumbersexual unless there is a beard involved.